is now available to play on all Sonos speakers. 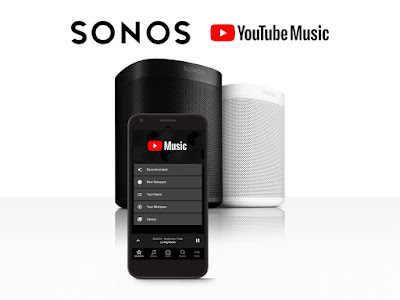 Through the Sonos app, fans around the world with a YouTube Music Premium or YouTube Premium subscription can now easily play official songs, albums, thousands of playlists, and artist radio—on top of YouTube’s tremendous catalog of remixes, live performances, covers that you can’t find anywhere else. Find a collection of the freshest music specifically tailored to your tastes. Listen to newly released songs and albums. This week, my list featured Maggie Rogers, YouTube Music's latest Artist on the Rise.